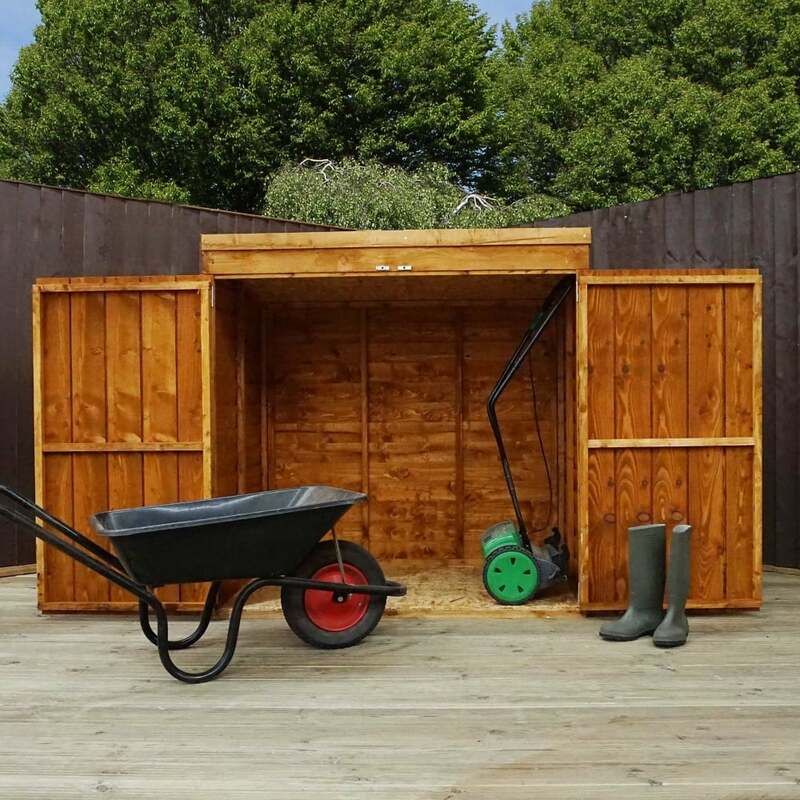 Mercia 5 x 3 Overlap Pent Mower Store: The Mercia overlap mower store is the ideal solution for storing your lawn mower in a secure place. The pent roof design promotes water to run off the building and shed roof felt is supplied to help protect against the elements. The overlap storage unit features double doors which have been ledged for extra support and provide easy access. The Mercia mower unit is constructed from 8mm overlap cladding and 9mm solid sheet boards for the floor and roof. The 5 x 3 mower store will be delivered flat packed for easy self-assembly.